Mama and I were treated to a lovely lunch at the home of our friend Shaul today. What a special feeling to be welcomed into an Italian home like family! We first met Shaul about eight years ago, when he was giving a talk at the University of California, Santa Cruz, titled “Women, Jews, and Venice.” We got to meet his sweet family on our trip to Venice five years ago. It was fun to see how his then-four-year-old has grown. Mama and I loved spending the afternoon together at their beautiful home with an incredible canal view! We enjoyed a delicious lunch of pasta with zucchini and eggplant, along with Prosecco, and finishing with gelato. Paisley also got a special treat — leftover pasta carbonara — and she went wild for it! 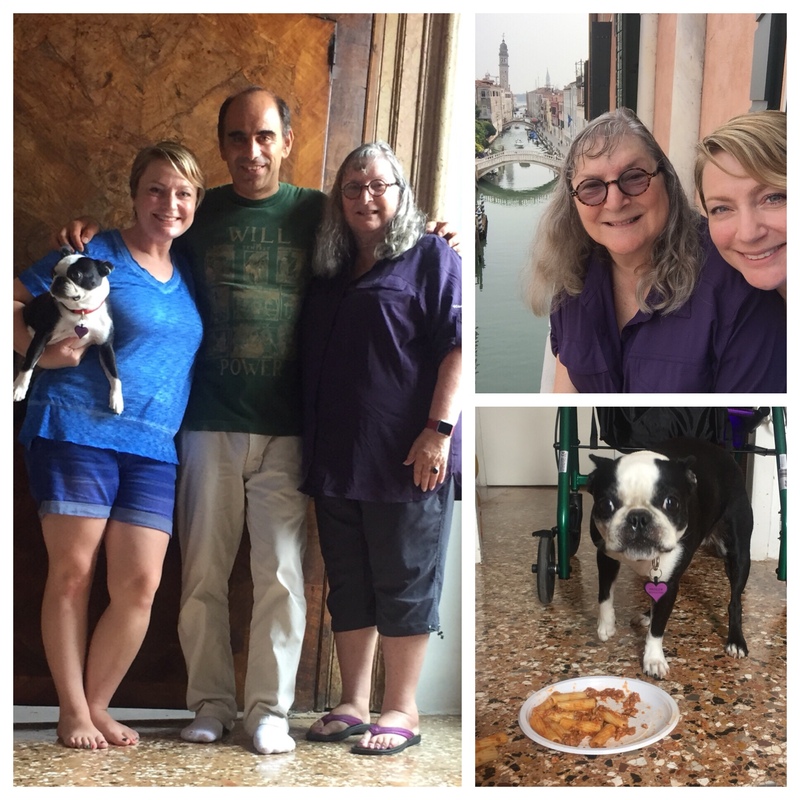 Today’s #OneGoodThing was lunch with Shaul in Venice! Special thanks to our photographer, nine-year-old PK. We look forward to seeing them again soon with Susy, Shaul’s wife. Day 265 of 365. And Day 996 in a row (here’s the first 366 & the following 365)! 1 year ago today: Pred no more! You are living a full life. and it is beautiful. We so enjoyed meeting you and your mom. Let’s connect once your back.